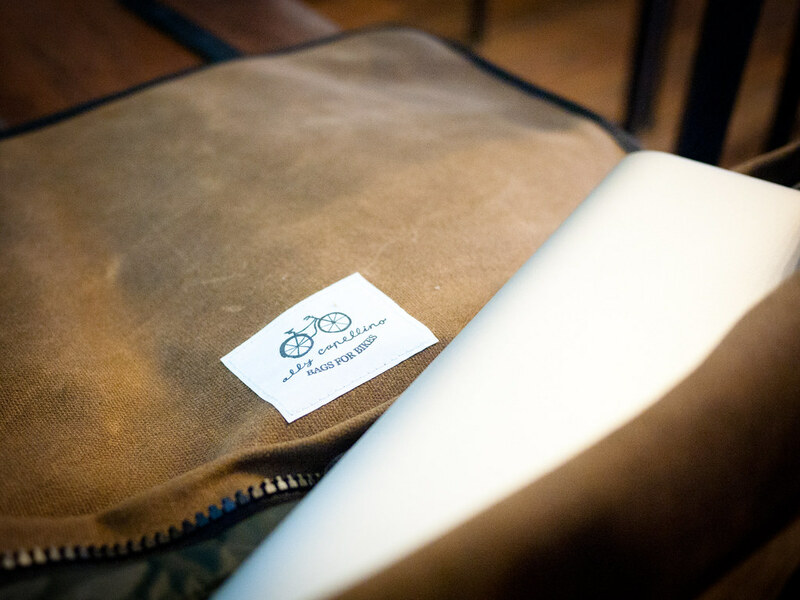 So, ‘The Boy’ here doing a guest post on a rather lovely bag for Velo-City-Girl. This is entirely because from the moment I saw the Ally Capellino Tommo Despatch Bag I had to have it and have pretty much stole it from Lady Velo! It pretty much hasn’t left my side (on and off my Cannondale) relegating all my other 'Manbags' back into the closet. 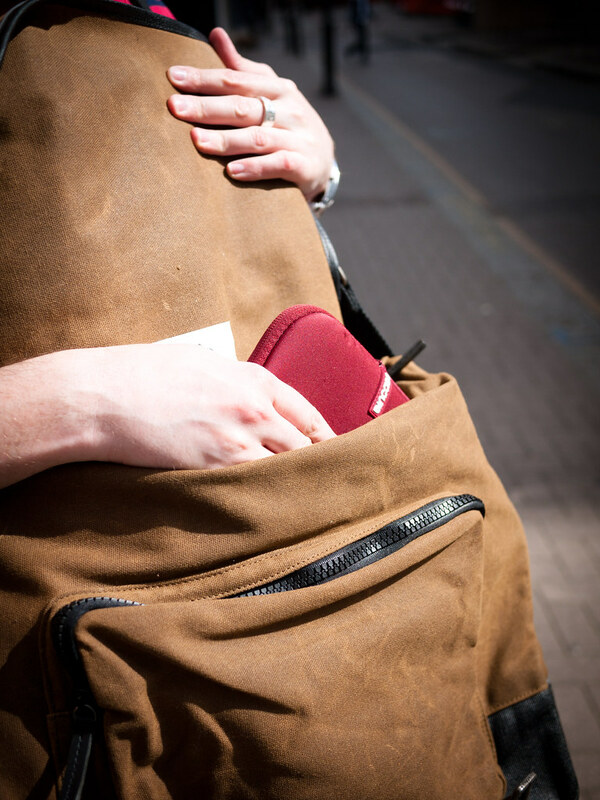 The Tommo is a courier style bag with a shoulder strap and a second smaller strap that you can bring up from the hip to attach to main strap in front of the chest: this stops the bag from slipping off your back. 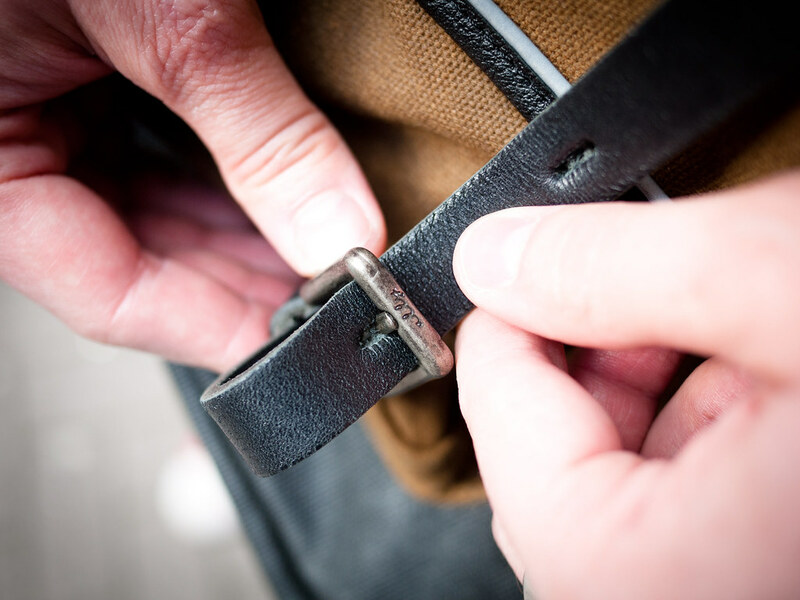 The straps are finished with old-fashioned metal D and O rings so you need to spend a few minutes getting the fit right for you, but once in place they remain tight, it just lends to the classic feel of this bag. 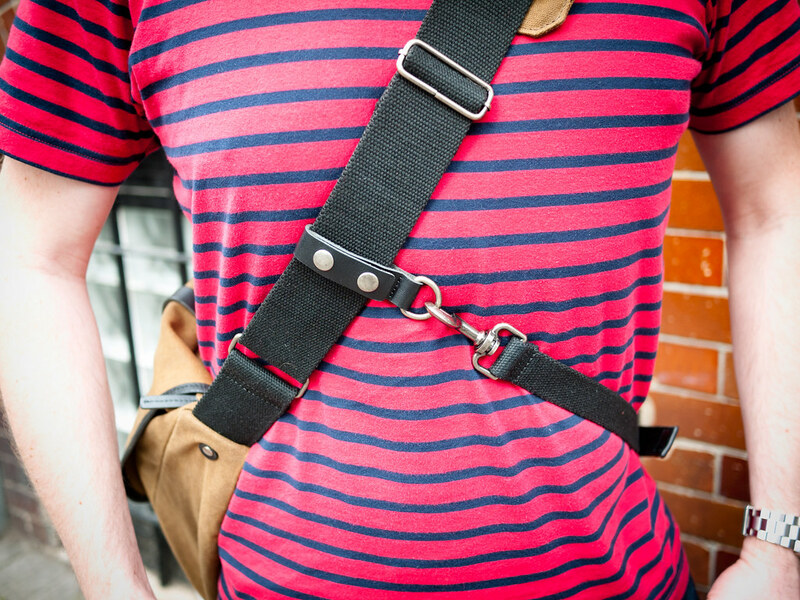 There are no plastic clips or synthetic straps here; it feels like a bag you’re going to have for many years to come, both in terms of build quality and looks. Aesthetically it couldn't be further from the modern courier bag. 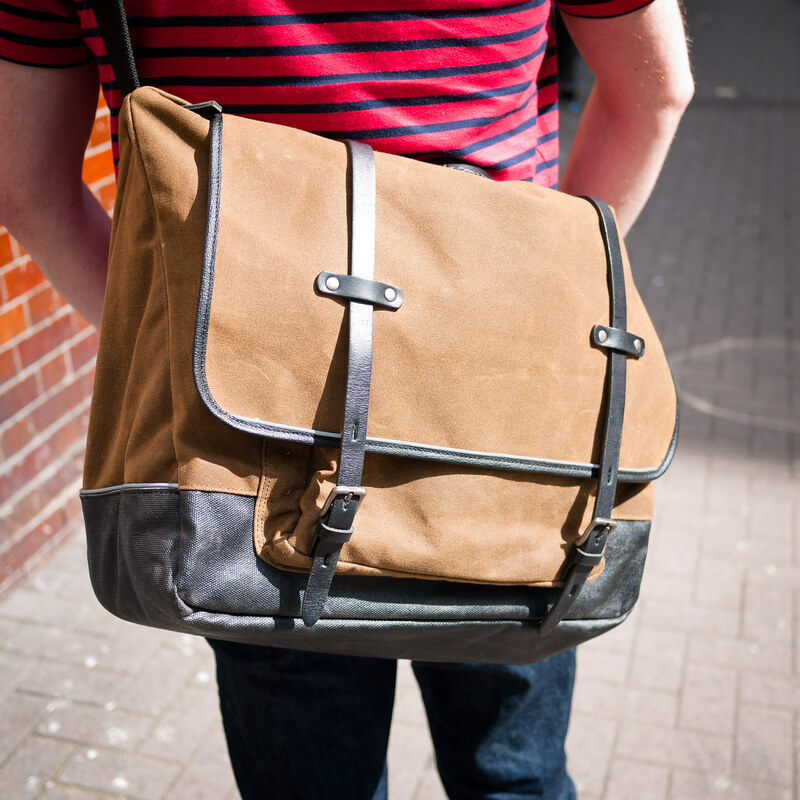 We are talking rugged canvas in natural tones, with leather straps to buckle it shut and a canvas shoulder strap. It’s very reminiscent of the old style photography kit bags back before nylon and other mod-cons were even invented. The nature of the canvas means the bag will only grow in character as you take it with you on your adventures... and trust me a bag this useful is going to see some action. Another attribute this bag shares with its real-life courier counterparts is that it’s big; I mean it’s huge – easily big enough to get a laptop, digital camera, chargers and change of clothes for a weekend away. It wasn't until I picked it up that I realized how much space there is inside. This is because the bag is rather cleverly cut so the sides taper in towards the top, so when it’s not got a lot of stuff in, it folds flat and isn't at all cumbersome. Inside are a couple of pockets to put keys, cards and things you want easy to hand, there’s also a compartment suitable to store a laptop computer, while outside the main compartment is a zipped compartment which I use to put spare tubes, my micro-pump and other bike kit. As big as it is, it doesn't feel at all cumbersome, the lovely canvas while tough and rugged is also soft and pliable. The upshot is the bag is really comfortable to carry, it feels more like a cosy sweater than a bag and probably a large reason why it has rarely left my shoulders. 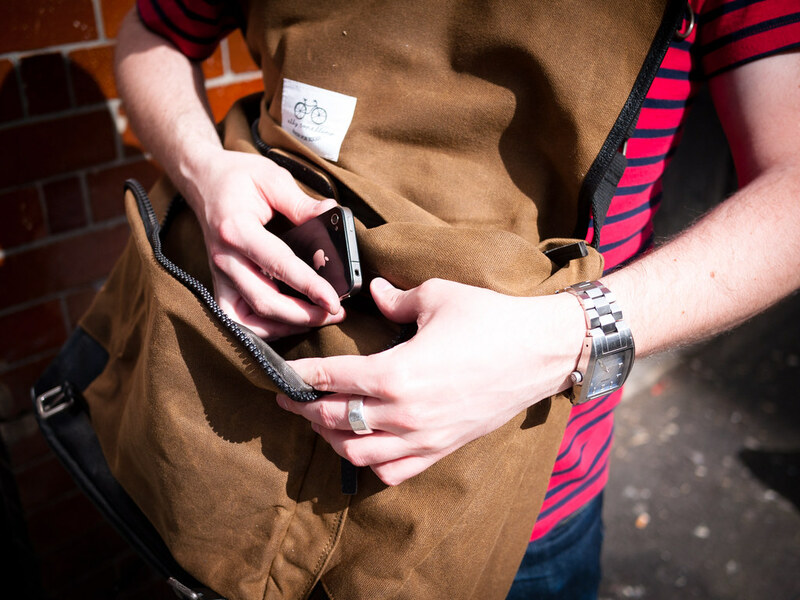 The Ally Capellino 'Bags for Bikes' range also includes a rucksack and a pannier bag, both built to the same style and exacting standard as the Tommo. Visit the Ally Capellino website to see the full range. With less than a week to go before the start of the Olympics, I must admit my excitement for the event has been building up. 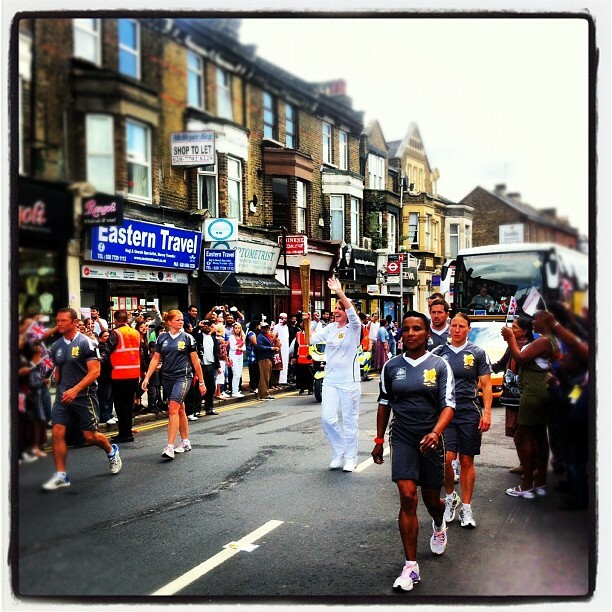 First there was the emotional BBC documentary on Victoria Pendleton earlier this week (which featured the Cycletta event which I interviewed her about last year), and now the Torch has finally made it to Newham - home of the events and where I'm from. 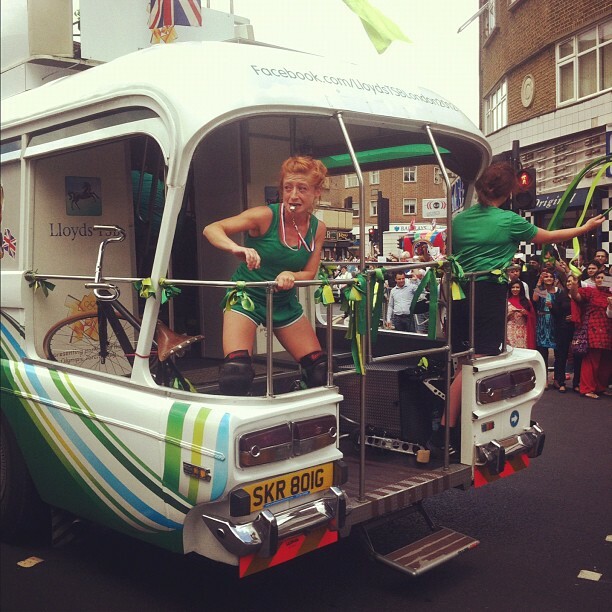 ... the back of the bus was even better - spot the lovely bicycle on the back! 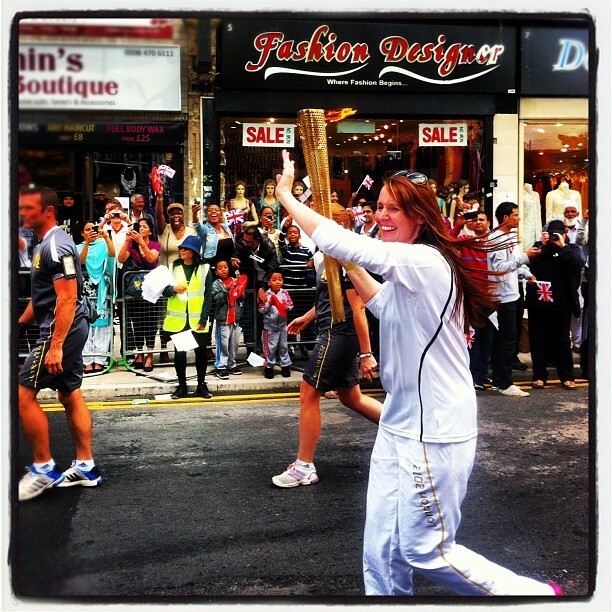 Seeing the flame come through the borough was fantastic, as was the atmosphere from the crowds. 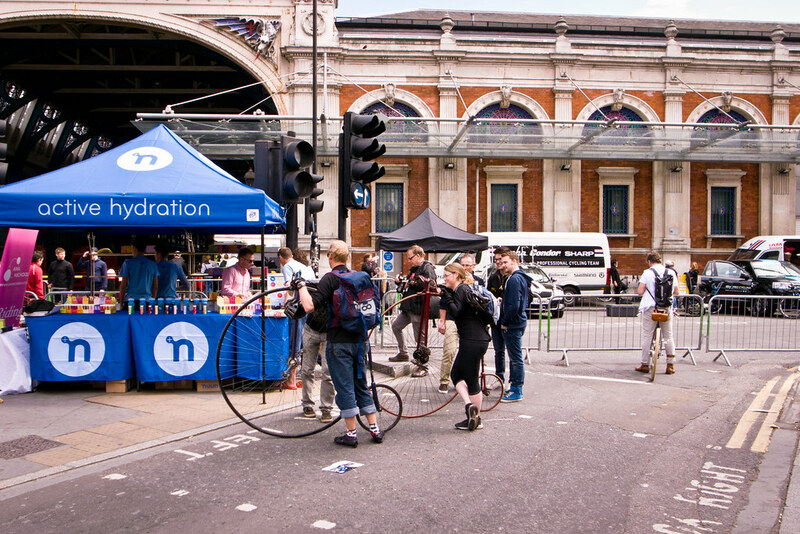 It made a pleasant change to be chatting and laughing with people in the market, instead of the usual barging to get to the shops and walking through the area with blinkers on. Everyone was in a good mood and had something to smile about. 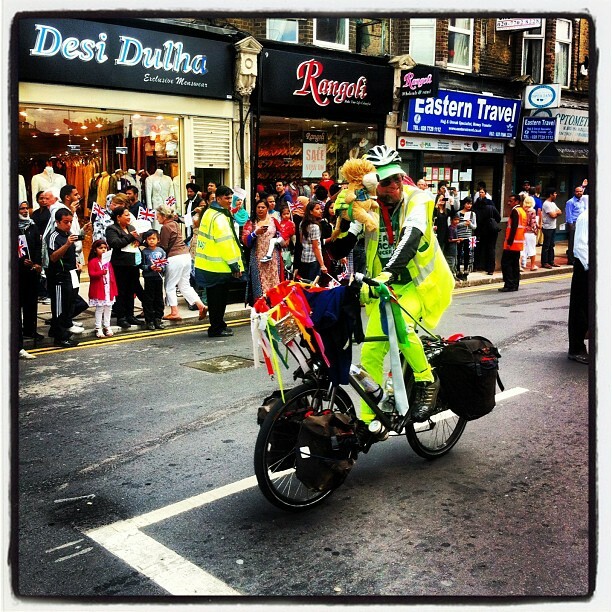 I just hope the 'legacy' the event leaves behind in Newham will be of benefit to the area and all of us who live and work in it. More photos can be viewed in this flickr set. 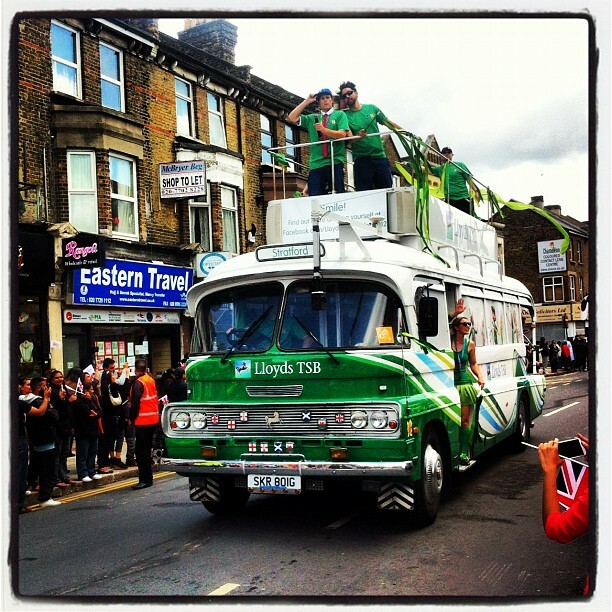 Now, bring on the cycling events... good luck Team GB! 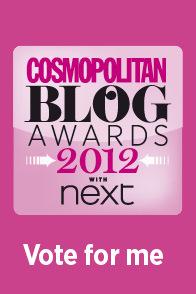 Well, ring my bell... this Monday I found out VCG made the final shortlist for the Cosmopolitan Blog Awards! Vélo-City-Girl is up for Best Lifestyle blog... and I owe every single reader / follower a massive "thank you" for nominating me! 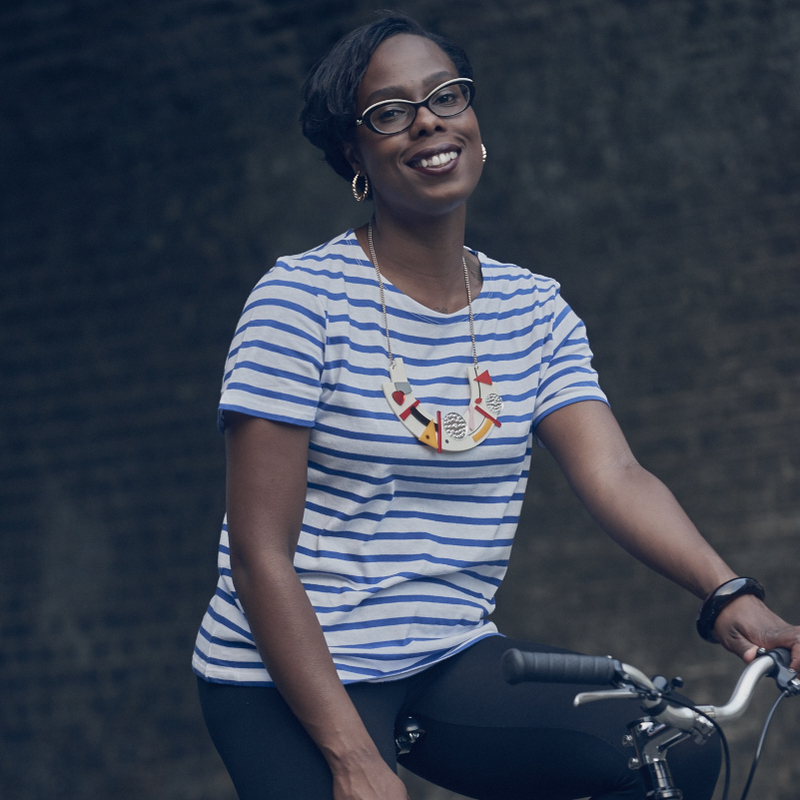 Running VCG is an absolute pleasure, and it's fantastic to know that it has struck a chord with so many people... and of course brilliant to see Cycling & Fashion (and everything that happens in between on my bike) is being picked-up on a wider scale. There are some familiar & fabulous blogs who have been nominated in other categories, including Anna of South Moulton St Style (please check her out and give her a vote in the New Fashion Blog category) - so do have a look through all the categories! 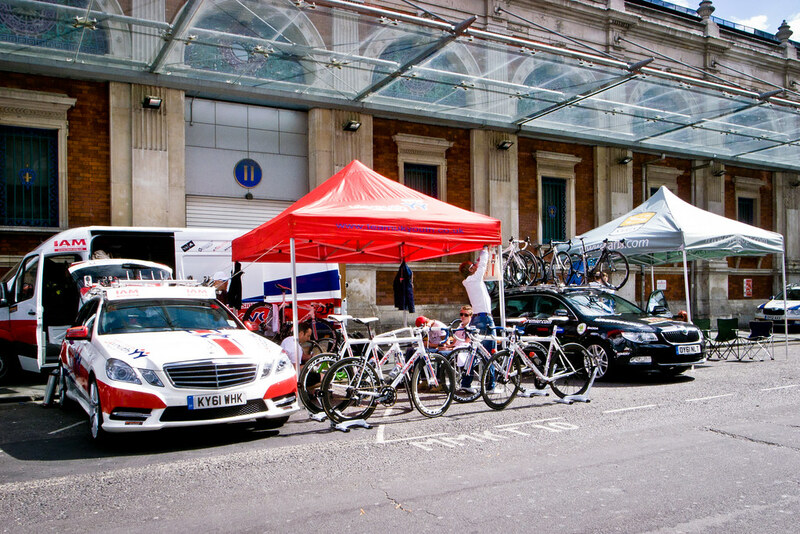 Now, although being shortlisted is a huge achievement, it would be amazing to win the category AND represent for Cycling as a lifestyle option that's enjoyable & fun! So, I'd be over the moon if you would vote for Vélo-City-Girl! You can vote by clicking on the button above or on the right-hand side of the blog... every vote counts, and there is no way I could have done this without the love and support of all of you out there! Massive thank-you to Filip Milovac for the video! Rio Top by Vivienne of Holloway: The vintage violet in me has been a fan of VOH clothing since donning one of their dresses for the Rugby Tweed Run. Made using traditional 1950's sizing (they are NOT the same sizing as high-street shops, so you should measure yourself before buying) their clothing is comfortable and glam at the same time. Levi's Demi Curve Ankle Jeans: I've been converted to their 'Curve ID' range since developing muscular thighs and a rounder bum since taking up cycling. Sadly my trusty Baxter jeans from Topshop were no longer cutting it for my cycling-shape (note to Topshop - a bit more room in the thighs would be nice, thanks) - and these jeans with a decent amount of stretch-elastic in them are a godsend. Converse All Stars: You can not go wrong with a pair of Chucks! Seriously comfy classics that are also a joy to cycle in... rain or shine these work. Frida Khalo Brooch by Tatty Devine: Fearless Frida... feminist icon and a floral fancy. Made by the fancy-fillies at Tatty Devine... Yep - that's a whole lotta F's there. It's a pretty brooch & will look good teamed with almost anything. Investment. Essie nail colour in 'Super bossa nova': this will certainly look bright against your handle-grips! Essie make some pretty durable colours, so should last the distance when you're on your bike. 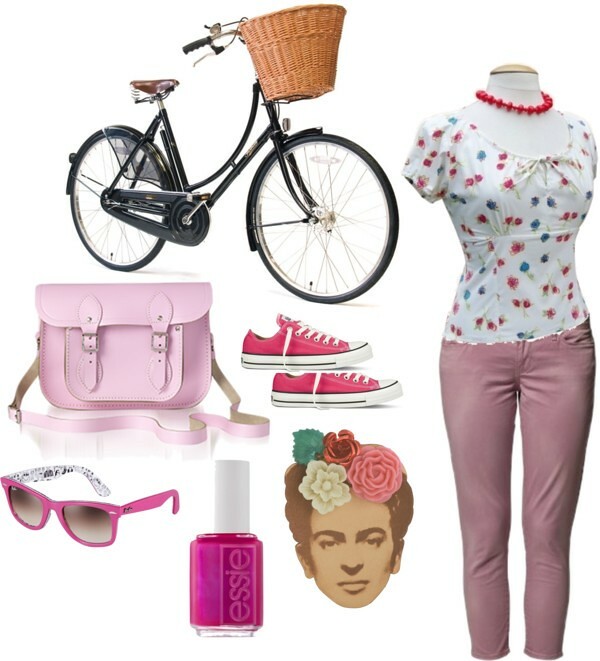 Pink Ray-Bans: I love how summery this colour is. The Wayferer will never go out of style (I swear by my tortoiseshell ones) and these ones will certainly inject some colour on your face! Gent on a Guv'nor - not sure he was racing though! 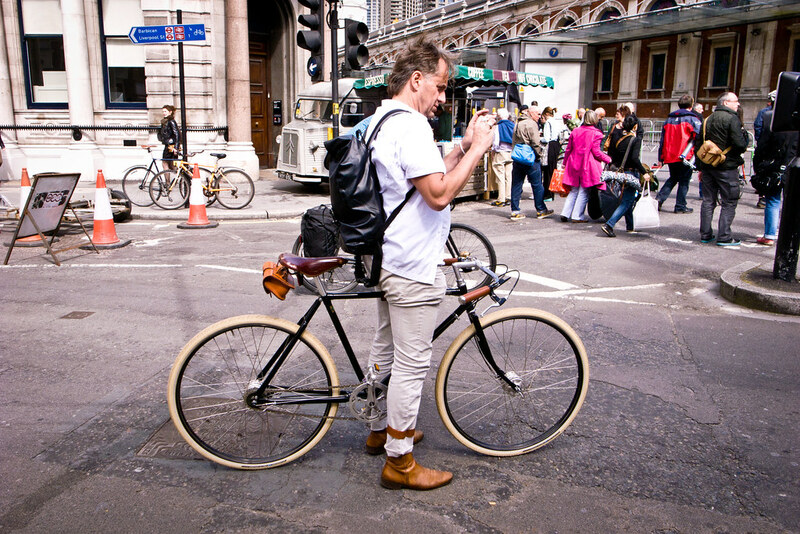 Of course while I was there, I was on a mission to hunt for more cycling-fashion! 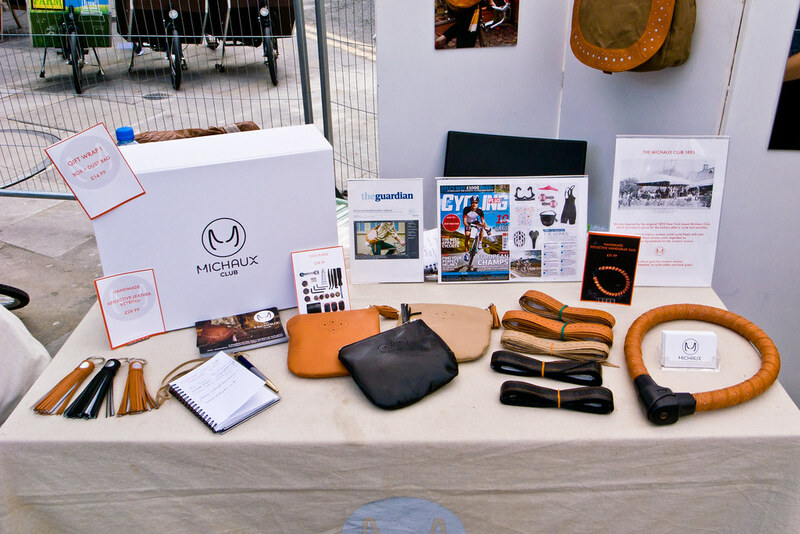 It was brilliant to see some new faces amongst the established cycling brands with pop-up stalls at the event - one of which was the Michaux Club. 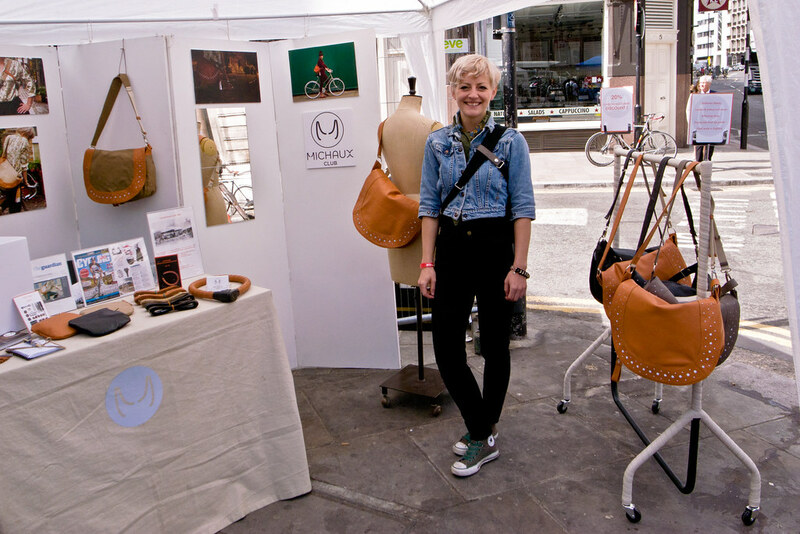 With a new range of canvas & leather handbags coming out later this summer, Michaux is certainly a brand to keep an eye on and is totally on my cycle-style radar. 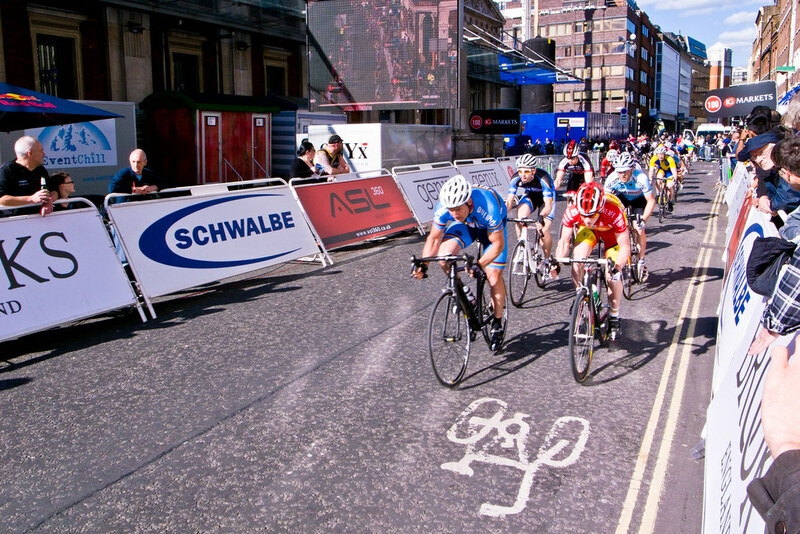 Sadly I couldn't stay until the very end to see all the racing events, but you can see the rest of my London Nocturne photos here on Flickr.